Build Your Self Defense Skills with Karate! Your safety never did anyone harm. You are never too old to start! Karate is a lifelong sport for all ages. Getting started is easy. 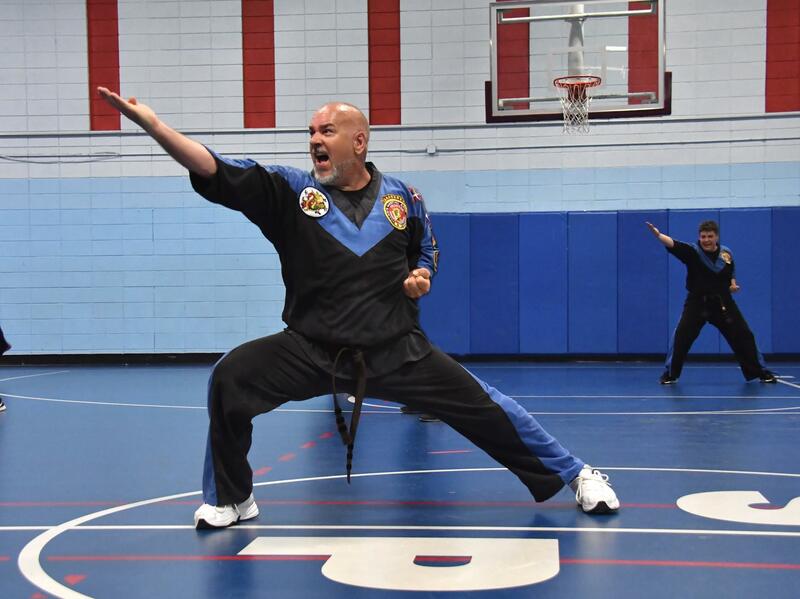 Our adult programs get you in shape while mastering the BEST self-defense techniques ever to protect yourself. Our adult karate curriculum is offered to adults and teenagers. 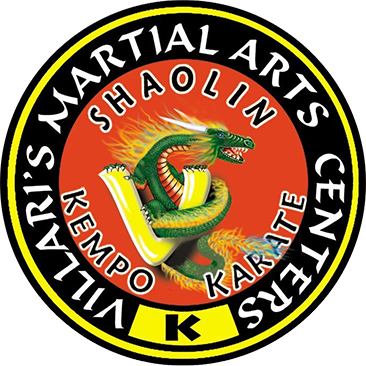 All who enroll will learn the techniques and forms of the Shaolin Kempo Karate system and how to apply those skills to real life self-defense situations. Through this training you will also develop stronger muscles in your body while improving your flexibility, stamina, and keen awareness. Many students have also claimed benefits of reduced stress, a calmer demeanor, and had more confidence. Karate is a fun, safe, and powerful sport for adults and teenagers. Achieve fitness and lose weight! Relieve stress and increase agility. 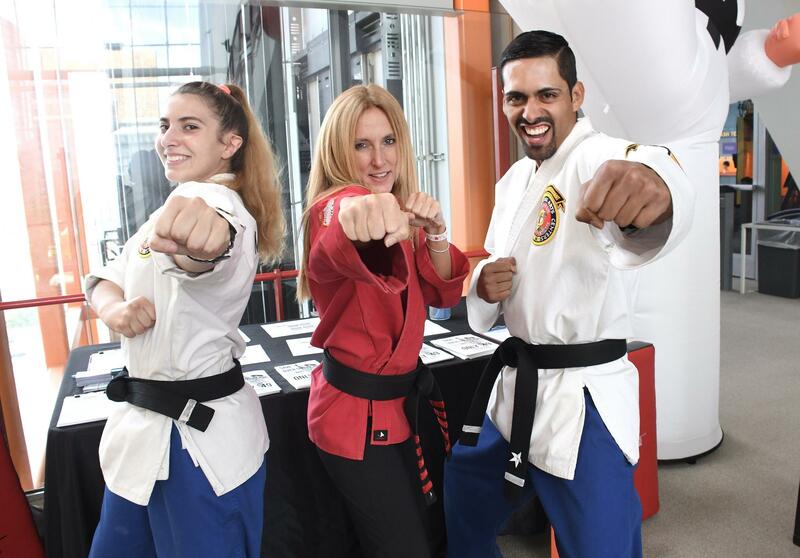 Karate is an incredible workout that can whip you into shape fast while providing you with a body, mind and spirit connection. "The mental and physical benefits of learning the martial arts has had a profound impact on my life. Weight loss, reduced stress, and mental focus are just a few of the positives I have personally experienced since starting classes." One of the greatest things we see as Instructors, are adults consistently tapping into their potential, and realizing they are so much stronger than they thought in so many ways. Karate training helps open doors you never knew you had and helps you achieve goals you never dreamed were possible. Are you ready? "The physical changes I've experienced are nothing compared to the friendships I have made here. It's great to work out with a stellar group of people week in and week out. 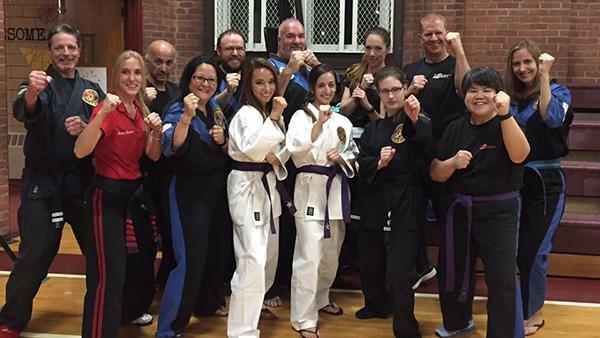 Nothing takes workday stress away like a great karate class!" PROTECT YOURSELF - SELF DEFENSE IS KARATE! In just a short period of time you will begin to carry yourself with confidence and become the kind of person an attacker will avoid! When you have developed those skills to defend yourself, you will not feel frightened on the go. Karate is the best martial art for self-defense. 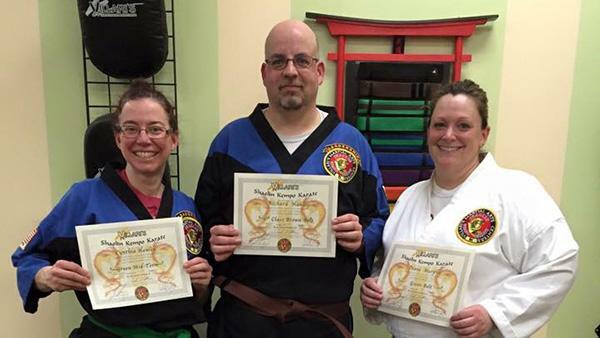 "I initially started taking classes after seeing the positive impact karate had on my kids. Not only have I gotten into shape, but I have learned potentially life-saving self defense. I am so glad that I got involved in an activity where I have made many wonderful friends, gotten healthier, and gained so much confidence!" Imagine a workout that pushes you to be your best, where you make friends with other students who are at the same level, all while learning a skill that will make you feel strong and confident! Villari's karate classes are a BLAST! "I am very happy to be learning karate here. The instructors are wonderful! I started karate at the age of 49, and I wasn't too sure of myself at the beginning but I stuck with it and I love it! Now I’m trying new things, challenging myself, and pushing myself a little further each week and most of all...it's so much fun!" Being present, in the moment, is a key part of an individual’s progress in our martial arts program. Whether that is through a training drill, or interacting with an instructor, or just tuning out stresses from the day, learning to center your thoughts in the moment helps to relieve stress and be happier. "I have a rigorous schedule with not much free time. I wanted to learn self-defense that includes a fitness plan. With Villari's I’ve learned so much more. I’ve developed the confidence and insight to quickly evaluate a situation and respond effectively." For some adults, finishing what you start can be a challenge. Especially with busy work/life schedules. 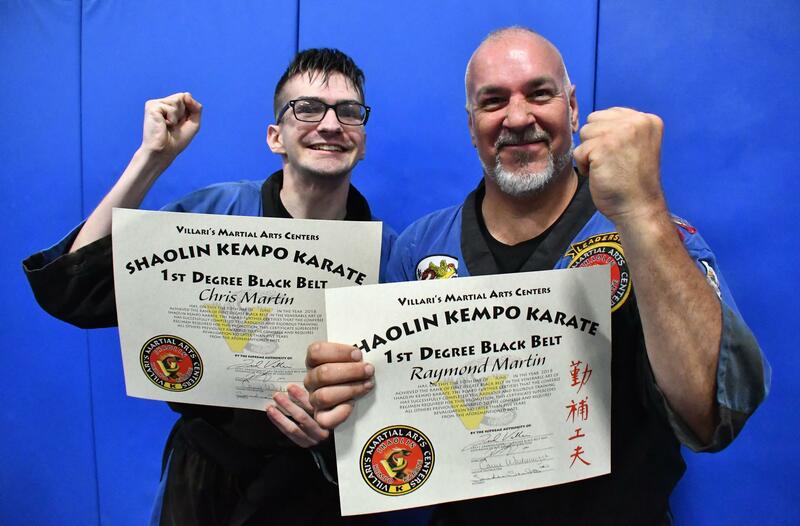 Through regular progress and encouragement from our instructors, adult karate students are pushed to reach their goals and are motivated to keep going until they succeed. What a great accomplishment! "If you are looking to get in shape while having some fun this is the place to be! Since I joined the Adult Program about 6 months ago my health has improved and I have more energy! Everyone in the class is so supportive and encouraging." 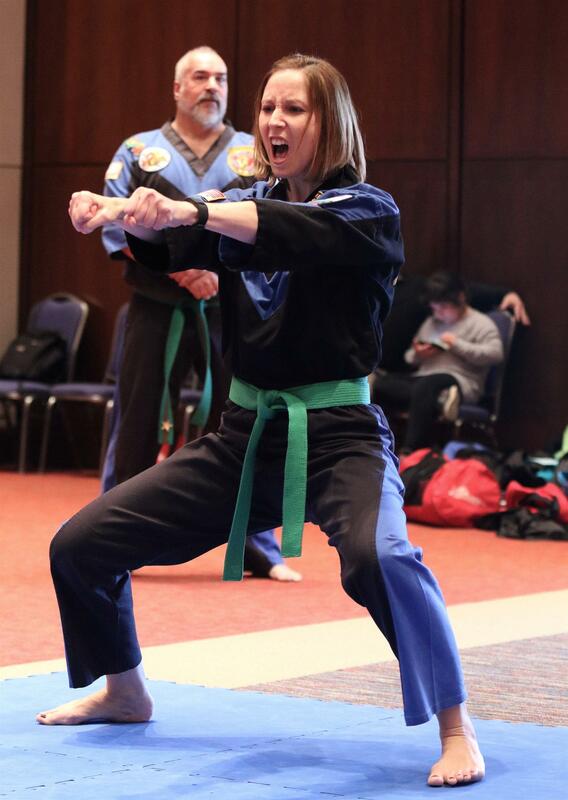 When we think of confidence for our adult karate students, it’s a bit different than with kids. Adults build confidence through losing weight, toning their bodies, letting go of negativity, taking pride in something that is their own, AND, having the knowledge and skills so that they can appropriately defend themselves and/or their families. A win/win for all! "I began classes at Villari’s as an alternative to a gym membership and because my son takes classes there. As a single parent, quality time with other adults is a rare commodity; this class has introduced me to many new friends, both instructors and adult students, with whom I enjoy laughing and learning." In our adult karate classes, we look for opportunities to help students succeed by leading groups through specific leadership exercises. By encouraging participation during class, we help students to come out of their shell and lead. This allows the potential for more success at work and in all of life. "My experience started out as an eight week fitness challenge. It turned out to be a great experience! Over a year later, I have earned a blue belt, feel better, and am less stressed overall. If that wasn't enough, I've gone down two sizes in my jeans!"